We launched as Wrigley Designs in 1980 specializing in themed-style murals for McDonald's® of Canada. In those early years we established a blemish-free record of timely delivery and customer satisfaction, earning McDonald's' trust with their stringent attention to brand appeal. Our first outdoor mural painted in 1986 opened further doors, garnering our studio a reputation as a skilled and highly sought after supplier, with the media taking notice as well. Our most visible mural, painted in 1990 for CityTV but now owned by Bell Media, is televised daily on cable channel CP24. Our team at Original Fine Art MURALS has earned a place in supplying many established companies in our 34 year history. Wet Willie's®, a national chain of bars located throughout the US - and our most loyal client this last 20 years, has incorporated our work into their brand. Today we continue to expand our roster by welcoming a variety of stylistic challenges, creating bold designs and exciting new concepts that outpace the competition. Bill painted his first mural recreationally in 1974 at the McDonald's where he worked. This sparked an idea that stuck with him till he launched his company in October, 1980. What followed was a succession of commissions that helped broaden his horizons, expanding to exterior projects on a much larger scale. In the years that followed he has received mural commissions from the world over, locations like the United States of America, Mexico, France and Japan. Bill is an avid cyclist, classic car enthusiast and manufacturer of performance boomerangs. 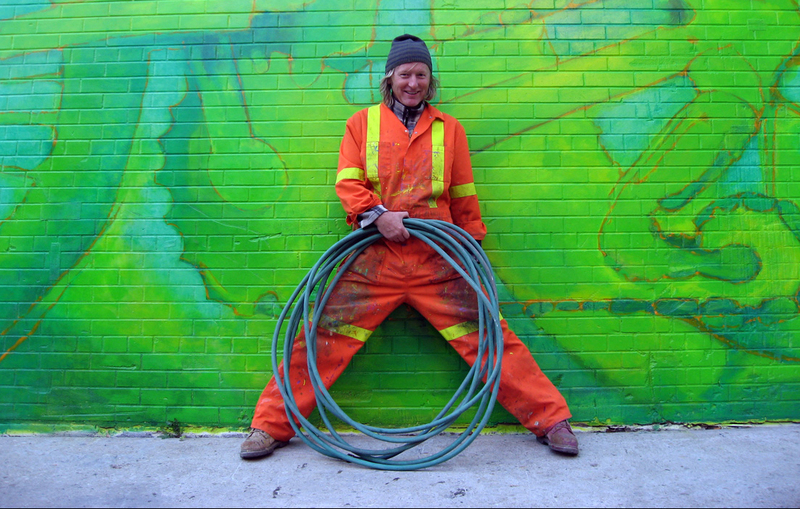 Born and raised in Montreal he has maintained a studio in Toronto for the better part of 30 years. He began his foray into the American market in 1990 and moved his studio to Miami Beach, where he resided from 1992 to 1994. Today the majority of Bill's clientele are from the US. We design beautifully vibrant, digital renderings to suit our clients' needs. We paint, finish and install murals and fine art for a variety of sites and uses. We offer 3D modeling, a comprehensive service that enhances any presentation. We'll quote you a price within 24 hours of discussing your needs. We endeavor continually to improve the craftsmanship of our work and the quality of our service to an ever discerning clientele. You may contact us with confidence. We'll be happy to quote you the cost for a mural, and submit it quickly in writing. Copyright © 2018-2022 Bill Wrigley. All Rights Reserved.